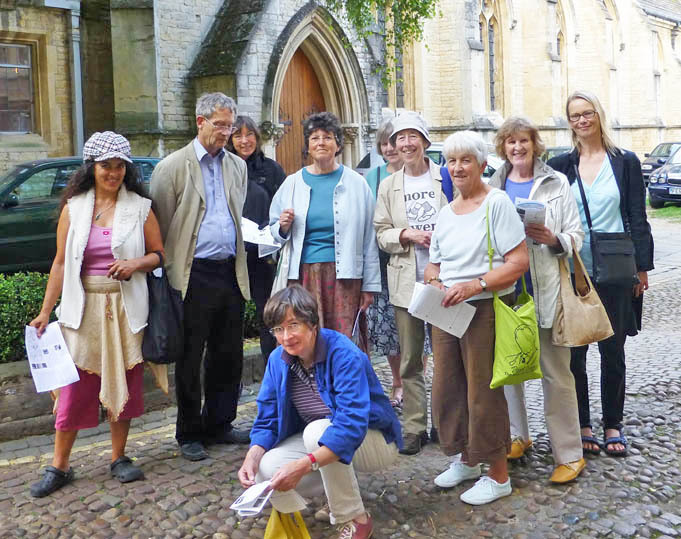 For our June meeting we followed one of the Oxford walks from the collection to which several members of OxPA have contributed. The guide to the Oxford Jewish Heritage Walk can be obtained at bookshops and information centres in the City or as a free download from the Oxford Walks website. The self-guided tour begins near the Castle and recalls many events in the chequered and all too often tragic history of Oxford's Jewish communities from the King's Jews of the Norman Conquest to the refugee scholars of the 1930s.